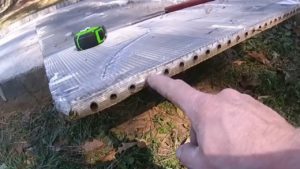 This video shows the build of a Home heating system that heat via hydronic (heat produced with water).This hot water heating system us typically installed at the baseboard or, at the very least, a point low to the ground. Since heat naturally rises, placing the heating element at the lowest point in a room is an easy way to evenly heat the air in a space.The hot water in the system is obtained from a boiler in a utility room, and this boiler is heated by gas, oil, or electricity. The hot water is pumped through a system of pipes that are installed in the baseboard. The heat from this hot water is transferred to the room, and once the heat transfer has cooled the water down again, it’s piped back to the boiler room, replaced by a fresh influx of hot water, and reheated. 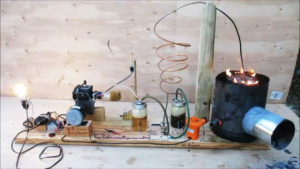 This video series shows how you can run a generator on wood or even trash.When wood is heated it releases a few different types of gases, I use a homemade gasifier to extract these gases out of the wood, I first run the gas through a condenser coil to condense any steam and tar out of the gas, I then use a bubble filter to catch that water and tar and it also helps in filtering out some of the unwanted smoke, next the gas runs through a homemade filter to remove the last of the unwanted byproducts, The wood gas then runs directly into the air intake on the 25cc engine. 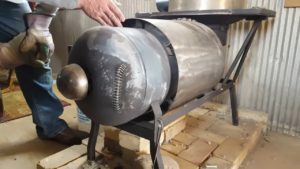 This video series shows the build of a homemade cheap metal melting furnace.No welds were required to make this furnace.An old steel container was used for the body of the furnace.Masking tapes was used to provide a visual guide for cutting the furnace with an angle grinder.The container was 13 inch from the bottom.High temperature castable refractory and ceramic insulation were used in order to reduce propane fuel use and to allow for the possibility of melting copper alloys. Most of the materials, besides the ceramic insulation and castable refractory, were salvaged for this build. 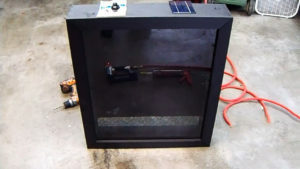 This video shows the build of a Homemade HHO Generator and torch for cutting and welding scrap metals .This safe torch makes an ideal tool for welding, brazing, soldering, drilling, cutting, polishing and annealing for metals, ceramics, glass and plastics.The Flame/Fuel Generator internally produces hydrogen and oxygen gasses from the distilled water fuel, utilizing the electrolytic process. The gasses are generated naturally in the two-to-one ratio needed for efficient flame combustion. 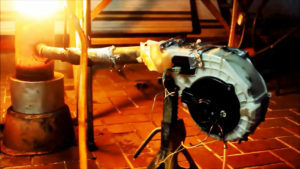 This video series shows the build of a one of kind Rocket Mass heater.This heater uses aerate concrete and keep the ‘mass’ of the rocket mass heater light. This heater goes together like an erector set, and comes apart just as easily. It’s custom exhaust can be rotated 180 degrees in any direction, and can be routed through a mass bench as well as its custom mini mass. This heater can save you up to 80% on your heating bills.This heater is beautiful and built completely from reclaimed and repurposed items. The advantage of this type of rocket mass heater is the huge increase in the efficiency of capturing and storing the available heat. 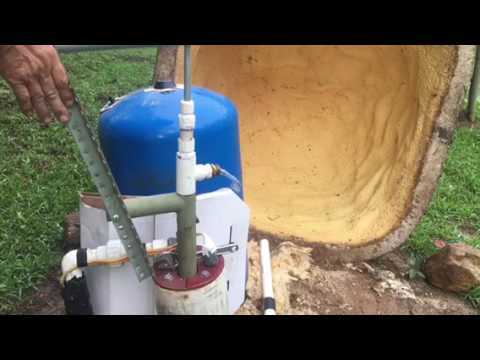 This Video shows the build of a water heater from an old gas hot water service and converted it to run on waste oil instead of gas.The system could easily be set up in an off grid or prepper type location as it only needs a small amount of 12V power to supply the car blower I used here. 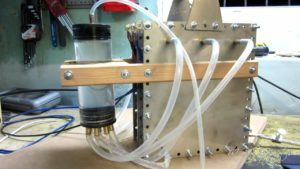 The burner runs on any waste oil and is gravity fed without the need for Nozzles, pumps or compressors. 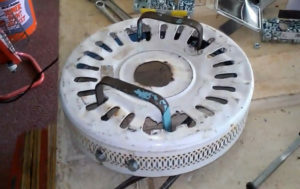 As well as providing Domestic hot water, the output can also be used in a home heating system which is what I plan to set up for my home this winter.It could also be used for an outdoor shower, to heat water for animal troughs, to heat a spa or small swimming pool or other uses to replace gas or electric how water heating. 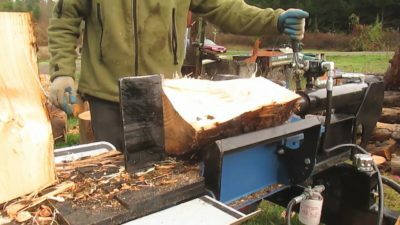 This 3 part Video series shows the build of a hydraulic log splitter for cheap, by salvaging parts you can build a DIY splitter that will help with processing your firewood. the Total cost was about $400 to build.I had the 6.5 hp motor from another project, I salvaged all of the metal , some of the scrap came from my work.We used our CNC plasma torch on this project and It made quick work cutting out all of the parts, But one could always free hand cut all the parts fairly easily with a torch.